Leading writers Nayantara Sahgal and Shashi Deshpande on Wednesday sought a strong condemnation by Prime Minister Narendra Modi of Dadri lynching incident and opposition to Ghulam Ali's concert, saying the country comprises not just Hindus but 'Hindustanis' who need to be protected in the wake of "increasing violence". "This country belongs to all Hindustanis, not just for Hindus. All Hindustanis need to be protected. Government must consider this its responsibility that each religion is respected and our pluralism is given its due. This is not happening," Sahgal, who returned her Sahitya Akademic Award protesting against "growing intolerance" in the country, said in a statement. The 88-year-old writer said there is an "increase in violence" and "many people are afraid about the future." She quoted Mahatma Gandhi's favourite hymn 'Vaishnav Jan to tene kahiye' on the spirit of tolerance while asking the prime minister to abide by it. 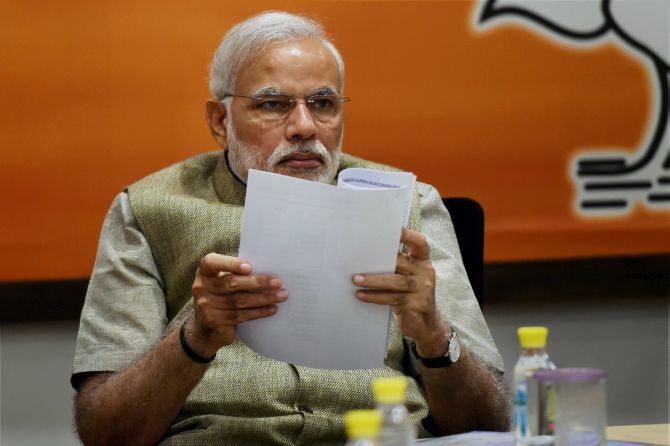 Bengaluru based author Shashi Deshpande, who had stepped down from the general council of the Sahitya Akademi, said that Modi has used a very weak word "unfortunate" to term the lynching incident. Modi on Wednesday described the Dadri lynching and the opposition to Ghulam Ali's concert as "undesirable and unfortunate" and made clear his government had nothing to do with them but accused the opposition of indulging in "pseudo secularism" and politics of polarisation. "Unfortunate is a very weak term and the leader of the country should be morally responsible for whatever is happening in the country. People have elected you and a few words from the leader of the country makes a lot of difference," Deshpande said. Joining the chorus of writers returning their Sahitya Akademi awards, poet K K Daruwallah said he was giving up the award, blaming the literary body for not standing by its authors who are "under political duress." With this, at least 28 authors including Nayantara Sahgal and Ashok Vajpeyi have decided to return their Akademi awards and five writers have stepped down from official positions of the literary body, which in turn has convened an emergency meeting on October 23 to discuss the developments. Taking a contrarian view, actor Anupam Kher said writers were "politically motivated" to embarrass the prime minister. "I do not respect the intentions of writers, I think their intentions are politically motivated," he told a news channel. The actor referred to instances like the 1984 riots and the Kashmir genocides and the killings in various states. "When Taslima Nasreen was being abused, nobody thought of returning their awards. I think it is just a wave which has taken over. There is a political intention behind it," Kher said. Daruwalla, who on October 10 had written to Akademi President Vishwanath Prasad Tiwari about its "soporific stance" to the killing of Kannada writer Kalbugri said, "the landscape that confronts the writer today is bleak." The 1984 Sahitya Akademi winner said, "People will die in our country for eating beef, or pork, perhaps one sad day for eating muttar paneer -- a dish invented by us home-grown Aryans who never came across the mountains. People in the south couldtake umbrage at the concoction, you never know." "Faces will continue to be blackened with paint and painters like M F Husain will be forced into exile. A writer like Taslima Nasreen will have to leave Kolkota under a leftist regime. Statesmen will continue to be praised for their nationalism 'despite' the fact they are Muslims. Mob murders will continue to be described as accidents" he said. "I admit this award I got is prestigious and I must have gained in reputation from it. It still is almost the only award open to a poet writing in English. But there are times when one must stand up to be counted, as the cliche goes. The rising tide of intolerance being what it is," he said. Actor Naseeruddin Shah said, the reaction by writers though a "little bit feudal" was part of their protest over the "scary mood of intolerance that seems to be growing." Bollywood poet and lyricist Javed Akhtar said writers were angered at the killings of writers social activists and rationalists one after another. "No arrests have been made in connection with these killings.... so this anger is understandable. These things which is happening now is the vent of that suppressed anger," he said.